Liver transplant is a surgical procedure which is performed to remove a diseased liver that has been damaged to such an extent that it can no longer function properly. It is a procedure for replacing damaged liver with a healthy liver from a donor. It's an extremely complicated surgery that requires an experienced and knowledgeable surgeon with strict pre-operative preparedness and detailed medical history of the patient as well as the donor. Liver transplant from Living Donor. Liver transplant from deceased donor, also known as Cadaveric Liver transplant. Although, most liver transplant operations use livers from deceased donors, however a liver may also come from a living donor. In case of a living donor, it is essential to get an approval from the ethical committee. A liver transplant is needed when the liver fails to perform 85- 90% of the function. 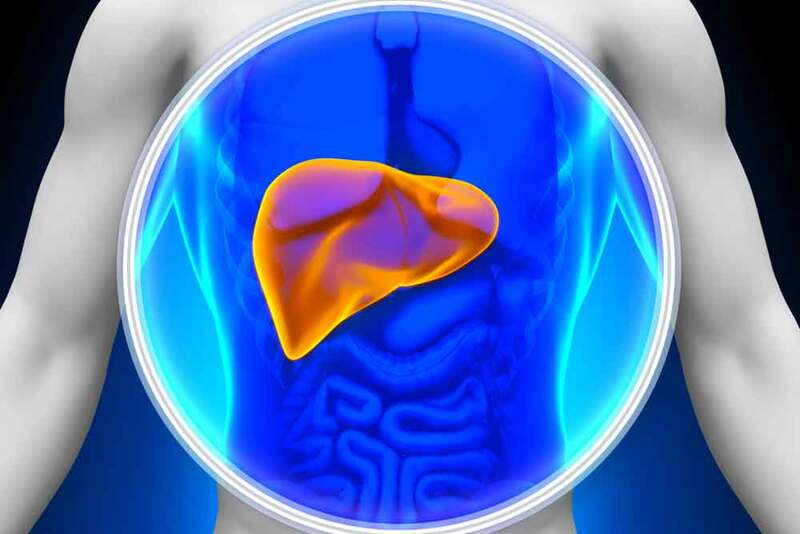 A liver failure can be either sudden (acute liver failure) or can occur slowly over months and years (chronic liver failure) and happens because of viral hepatitis, drug-induced injury, Wilson's disease, Alcoholism, Early-stage liver cancer, Hemochromatosis, Primary biliary cholangitis, infection etc. Children with bile and digestive issues are more prone to liver failure. The common symptoms that a person with the damaged liver experiences are Nausea, Loss of appetite, Fatigue and Diarrhoea. However, when the Liver failure becomes severe, the symptoms become more serious including Jaundice, Bleeding easily, Swollen abdomen, Mental disorientation, or confusion (known as hepatic encephalopathy), Sleepiness and even Coma. However, there could be a possibility that a liver transplant patient may get a suitable match for surgery but he/she may not be considered fit for a transplant. This generally happens when a person is affected by certain condition/ diseases that affects the chances of the success rate. Some of such conditions are acute malnutrition, infection, long-lasting obstructive pulmonary disease, heart failure, AIDS, mental condition, continuous alcohol, or drugs intake etc. Before going for a liver transplant, check out and confirm with your surgeon that whether you are eligible or not for transplant. The pre-operative procedure can go for weeks depending upon the medical condition of the patient, MELD score, availability and fitness of the liver, a mandatory No-Obligation Certificate etc. Liver Transplant is successful treatment and generally, the overall patient survival for the entire surgery ranges between was 60-70%. The long-term success rate of liver transplant surgery is high and one can expect a survival rate of 60%- 70% after 15-20 years of surgery. The success of liver transplant depends on a perfect match with a donor, on the body size and blood type of patient, MELD score etc. The success rate is better amongst children, female, sportspersons etc. who are generally able to resume their activities and can live a normal life after 3-6 months of the surgery. Though, there is 4-6% risk, usually related with the technically complicated procedures. Patients can undergo some problems depending upon the time after the transplant. In the initial 1-2 years, the most common problems faced by people are biliary stricture, infections and rejection of the liver by the body. But at Fortis Escorts, we offer lowest biliary complication rate of just 5-6%. Our new procedure and the innovative technologies invented by the professional team is what helps us to deliver the best. At Fortis Escorts, we have set up a benchmark in performing the successful Liver Transplants surgeries with the success rate is 90-95%. The surgeries are performed by the team of the country's most experienced, reputed, and patient friendly experts who have excellent records in terms of patient care and outcomes. Our Liver & Digestive Diseases Institute provides comprehensive high-end care for a wide spectrum of liver disorders through a highly qualified, experienced team of specialists supported by state-of-the-art technology. The institute prides itself in providing compassionate care in a soothing ambience with a high premium on patient satisfaction. We are known for providing safe, high quality care to our patients. Our surgeons are admired for providing their patients with utmost care which also helps in lowering expenses for dealing with biliary complications. Our team brings together the best brains in the country who have worked at various centres across the globe under one unit with a rich cumulative experience of working at various successful Transplant centres in India, as the outcome matters while choosing a hospital for your Liver Transplant. We at Fortis Escorts, ensure 100% donor safety by adhering to standardized safety protocols. Liver transplantation is an established treatment for children with end-stage liver disease and offers the opportunity for a long and healthy life . In previous decades, it has become a state-of-the-art operation with excellent success and limited mortality . Graft and patient survival have continued to improve as a result of improvements in medical, surgical and anesthetic management, organ availability, and immunosuppression. Organ scarcity, which is the main limitation to the full exploitation of transplantation, is being overcome, thanks to the technique of split-liver and living-donor transplantation which have contributed to reversing a situation in which, during the 1980s and 90s, children had greater waiting list mortality compared to that of adult patients. Several years ago, the main focus of care of children with end-stage liver disease was to find a liver transplant, but today, the main interest is in long-term follow-up, with prevention of immunosuppression-related complications and promotion of as normal growth as possible. Pediatric patients with end stage liver disease are a sick group with compromised immunity and most are nutritionally depleted. A slightest of stress may tip the balance and lead to decompensation. Therefore they need to be optimised prior to transplant. Active infection is a contraindication for transplantation and needs adequate treatment. Nutritional support to optimize growth. Any sign of GI bleed requires endoscopy with variceal banding Prevention or treatment of drug-induced side effects (e.g. osteopenia secondary to prolonged steroid intake). Assess the immunological status of the child; immunizations when possible prior to transplant as per age. Intra-hepatic cholestasis: sclerosing cholangitis, Alagille’s syndrome, non-syndromic paucity of intrahepatic bile ducts, and progressive familial intrahepatic cholestasis. Metabolic diseases: Wilson's disease, α1-antitrypsin deficiency, inborn errors of bile acid metabolism, tyrosinemia, disorders of the urea cycle, oxaluria type I and disorders of carbohydrate metabolism. Others: primary liver tumor and cystic fibrosis. concomitant end-stage organ failure that cannot be corrected by a combined transplant. irreversible serious neurological damage. Whereas in adults there are limitations to access to liver transplantation waiting lists for patients with primary liver tumors, in children, the approach is much more liberal and the indication should be discussed on a case by case analysis with pediatric oncologists. Confirm the indication for transplantation. Determine the severity of the disease. Consider alternative treatments to transplantation. Identify active infections and assess the immunological status of the child. Rule out cardiac malformations that might need to be corrected before transplantation. Establish a pre-transplant therapeutic plan: immunizations, when possible, nutritional support to optimize growth, dental care. Evaluate social status and logistic issues. Earlier the mortality risk on the waitlist was quite high in pediatric population as compared to adults because of the scarcity of organs. Thanks to the newer technique of split liver transplant ( in which the deceased liver is split into two) and living related liver transplant which have reversed the scenario and led to an increase in donor pool and decreased the waiting period. The first liver transplant was performed by Thomas Starzl, in 1963, on a 2-year-old child affected by biliary atresia. The patient died in the operating room of uncontrolled hemorrhage. After this first case, and up to the early 1980s, the only technical option for pediatric liver transplantation was to transplant the whole liver of a donor with a weight as close as possible to that of the recipient. The technique involved explantation of patients diseased liver followed by implantation of donor liver. Given the low number of pediatric donors, up to 50% of the children on the waiting list would die before they could receive a transplant. The development of techniques that allowed surgeons to transplant portions of livers from adult donors has completely changed the fate of liver transplantation in pediatric patients. The procedure of whole-liver procurement in pediatric donors can be performed exactly as in adults. Problem with this technique is the availibilty of the size match of the donor liver with that of patients body. This procedure consists of procurement of the whole liver from an adult cadaver donor, which is reduced in its size on the back-table. This technique of parenchymal reduction, very seldom used today, allows surgeons to overcome differences in size between the donor and the recipient of up to four or five times. After procuring whole liver from a cadaver donor and dividing it into two sections, leaving the vascular structures for the two portions of hepatic parenchyma intact. In this way, two partial organs are obtained from a single liver: the left lateral segment (segments 2 and 3), which can be transplanted in a child, and the extended right liver (segments 1 and 4-8), which can be transplanted into an adult. The first description of the procedure in which a segment of liver was procured from a living donor (the mother), and transplanted in a child affected by biliary duct atresia, dates back to 1988. Living-related liver transplants soon came to account for a substantial number of pediatric cases performed in many centers throughout the world. The type of graft i.e. the segment of liver depends on body weight of the patient. Patients with a body weight less than 10 kgs require a left lateral segment. Patients with a body weight between 10-30 kgs require a left lobe graft. Patients with a body weight more than 30 kgs require a right lobe graft. Post transplantation these patients are managed in dedicated transplant ICUs. Postoperative care involves a joint effort of pediatric transplant hepatologist, transplant surgeon, well trained nurses, radiologist, dietician and physiotherapist. The early postoperative period consists of managing problems related to technical complications and to the prevention, diagnosis, and treatment of acute rejection and infection episodes. Antibiotic and antifungal prophylaxis is given in the first week depending on the departmental policy . USG doppler is done daily twice a day during first week to look for graft inflow and outflow. Antiplatelet prophylaxis is given to prevent thrombotic vascular complications. To ward of rejection these patients require immunosuppression starting in the immediate postoperative period which requires strict adherence and compliance for whole life with regular monitoring of blood levels. Infection: The immunity of the body decreases due to the continuous intake of immuno suppressive medicines which may lead to a higher chance of getting bacterial, fungal and viral infections. A pioneering liver transplant surgeon credited with developing living donor surgery and standardizing safety protocols to achieve a 100% donor safety profile since the time of its inception in the country. 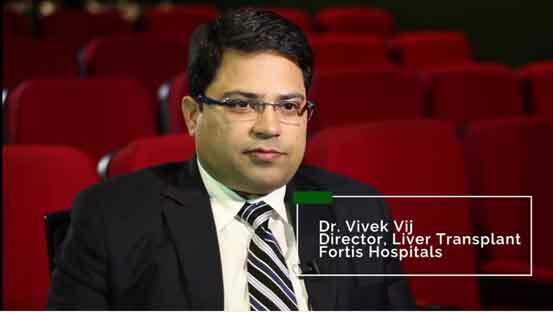 Dr. Vij and his team have a cumulative experience of performing more than 2500 liver transplants, having performed majority of them at Fortis Hospital, Noida with a record 95% patient and 100% donor success rate. He is the recipient of many awards and recognitions including Roche Preceptorship, University of Alabama, Birmingham, USA, International Liver Transplant Society (ILTS), Chicago among many others. His expertise has helped patients not only from the Indian subcontinent but also patients coming from Iraq, Oman, Uzbekistan, Mongolia, Yemen etc. 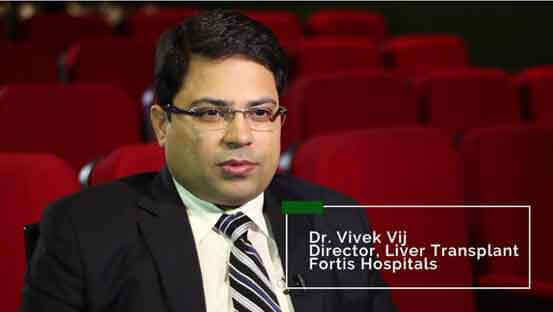 His dedication and compassion along with the hard work from his team has helped Fortis to become a renowned and trusted name for the treatment of liver diseases not just in India but complete south-east Asia. Dr. Manav Wadhawan is a Senior Consultant, Gastroenterology in Liver & Digestive Institute, Fortis Escorts. He has been associated with National Organizations like AIIMS, GB Pant Hospital, Sir Ganga Ram Hospital and Indraprastha Apollo Hospital. Dr Manav Wadhawan has received several awards, notable being: Young Investigator Award by International Liver Transplant Society (ILTS) in 2013, Plenary Oral presentation award by Indian Society of Gastroenterology in 2012, Plenary Oral presentation award by Asia Pacific Society for Study of Liver (APASL) in 2011 & 2004, Plenary Oral presentation award by International Association of Study of Liver (IASL) in 2004. He has been invited for over 200 lectures at various national & international society meetings. When do we need Liver Transplant?